Modern Master: Composer John Adams' recent Grammy win reveals a rare acuity of the music industry. The celebrity hounds sniffing for stories in the mainstream media cast their eyes in the direction of Kanye West on Feb. 13, wondering if the rapper--who had garnered a whopping 10 Grammy Award nominations--would sweep the star-studded ceremony. His smash hit "Jesus Walks" picked up Best Rap Song honors. All in all, West, who showed no sign of humility during his arrogant acceptance speech for that award, had to settle for just three Grammys that night. Star Jones must have been soooo disappointed. But the media mostly ignored the fact that reclusive composer John Adams, who splits his time between his Berkeley home and a secluded Sonoma County ranch polishing the upcoming opera Doctor Atomic (chronicling the endeavors of atomic bomb creator J. Robert Oppenheimer and slated for its world premiere on Oct. 1 at the San Francisco Opera), also picked up three Grammys, all for the same remarkable piece--a work that surely will stand the test of time long after the fickle pop-music audience is asking Kanye who? 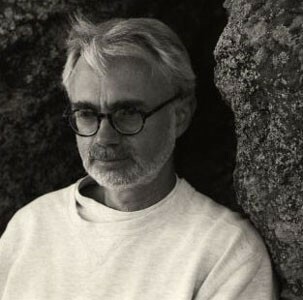 Adams' 2002 composition On the Transmigration of Souls, recorded last year on the Nonesuch label, won for Best Classical Album, Best Classical Contemporary Composition and Best Orchestral Album. The stunning recording, a monumental 25-minute work that honors the victims of the Sept. 11, 2001, World Trade Center attacks, captures the dark side of the American experience and finds Adams traveling far beyond the somber minimalism and fanciful miniatures that brought him to the public's attention in the 1980s.Like the event itself, it stops you in your tracks, forcing you to gaze into the abyss and ponder the eternal. This extraordinary piece, commissioned by the New York Philharmonic and the Lincoln Center's Great Performers program, was recorded during premiere anniversary concerts held between Sept. 19-24, 2002. It is a complex multilayered affair that Adams has called "a memory space." The work's single movement features narrators intoning the names of the lost along with excerpts from their last fleeting phone messages, taped street sounds that bolster the sense of menace and a pair of spectral choruses reading snippets of the desperate messages left on handmade posters by family members searching for their loved ones. It is chilling and heartbreaking and difficult to listen to without being cast back into that pit of grief that is Ground Zero. And that is its brilliance. Adams--whose 1991 opera The Death of Klinghoffer was cancelled by several companies in the weeks after the attacks because it was deemed too provocative--has created an aural time capsule, a crucible for the horror that spilled from that rip in the American psyche known collectively as simply 9-11. It is not cathartic. Rather, Adams--who has said he wanted the piece to be contemplative, like a Gothic cathedral--has stepped into the role of a modern-day Virgil, guiding us through a day in hell. There is no neat resolution. In the last seconds, the horror evoked simply dissipates into a vague sense of disbelief set against the soft whoosh of taped traffic noise and the ethereal sound of papers blowing in the wind. The listener is left to contemplate that sad day again. On the Transmigration of Souls is a work everyone should hear at least once, though many might choose not to reawaken those memories. Yet, for future generations, this work is a haunting, visceral monument that should go a long way toward helping to communicate the emotional impact of a dark moment in American history.